Titanium Gr.5 hexagon socket head cap screws. The titanium Gr.5 hexagon socket head cap screws manufactured to ISO 4762/ DIN 912. Sizes: M6, M6, M8, M10. Nominal lengths: 100 mm, 60 mm, 40 mm, and 30 mm. Material spec. : ASTM B381 Gr. F5. 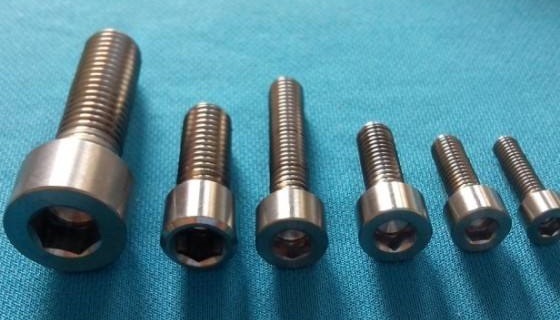 These titanium screws are supplied to a German company in Sachsen-Anhalt.